27th Anniversary ! Today ! Yippee !! Could it really be 27 years?!! 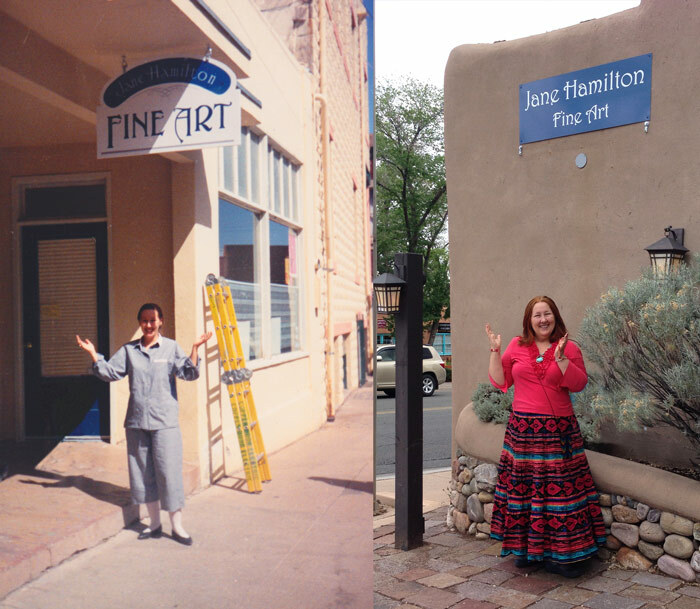 since we opened our gallery on March 20th 1992? It’s hard not to feel the sheer excitement of our wooden sign being hung in front of the tiny Subway Street space in historic Bisbee. We sold our 1st piece the day before we officially opened! The buyer had flown down from Scottsdale for lunch... and by 1inch (to fit in the door of his small plane) we we sold our 1st painting! I am grateful and thankful for the support of my 4 children and my husband Tom Murray. Our success that has moved us to the foothills of Tucson and to our majestic Plaza Colonial location the last 10 years. The work of many fabulous artists and the loyalty of collectors, has made a reality of a dream begun with $400 and 4 kids... while having fun!